So I have made a decision to carry on for now with Champagne & Lemonade. The initial idea behind the blog was how I am often told that I live a Champagne Lifestyle on a Lemonade budget - meaning I am always busy, buying things and living best life on not a real lot of money. This could not be more true right now. My husband Darren and I are in the process of buying a new house! We have lived in our first house for two years now and we are in slightly better financial position to be able to afford something a bit bigger and better. I have always loved home & lifestyle blogs, I find interior blogs so interesting and inspiring and feel like this is something I could incorporate in to my own blog - Hey have I found a new niche? Who knows! I wanted to share a bit of our journey and what are plans are so hopefully it will make for an interesting read. So, so far we have put our own property on the market - we arranged for 3 valuations from varying estate agents and then chose the one we would like to use. This was a very quick process for us and happened within a week which was great! So our house is currently up for sale and we are starting to book viewings. Due to the nature of buying a new build we are not in a position to reserve a property and proceed until ours is sold subject to contract therefore we must wait and hope that no other buyer shows interest in the house we have chosen. We have chosen a house that has been built already (instead of choosing pre-build) therefore we are unable to now change the design and layout of the house or any of its features (i.e colours in the kitchen etc) Obviously this is a slight disadvantage as you are buying a property as seen however this does bring the cost down for us as we do not have to pay for an upgraded kitchen etc as this is already in. In the house we are interested in they have also added in blinds and carpets which you would not get pre build. This is all I have to report so far, hopefully over the coming weeks we will know a little more of what is happening! I am trying to not get too excited as this may still not happen but fingers crossed so that I can begin home ware shopping!! 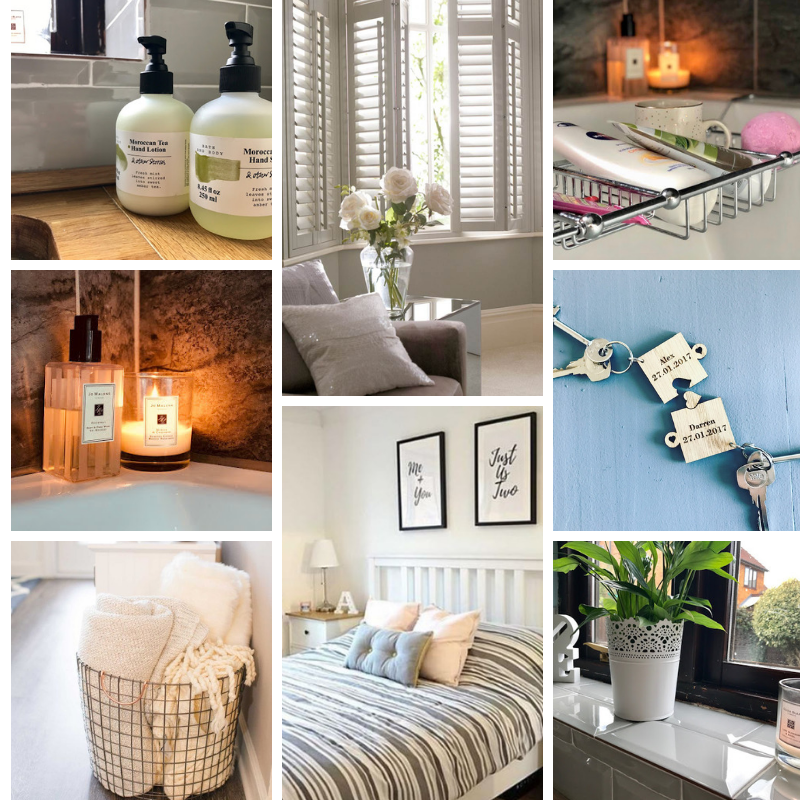 Let me know your favourite homeware stores!